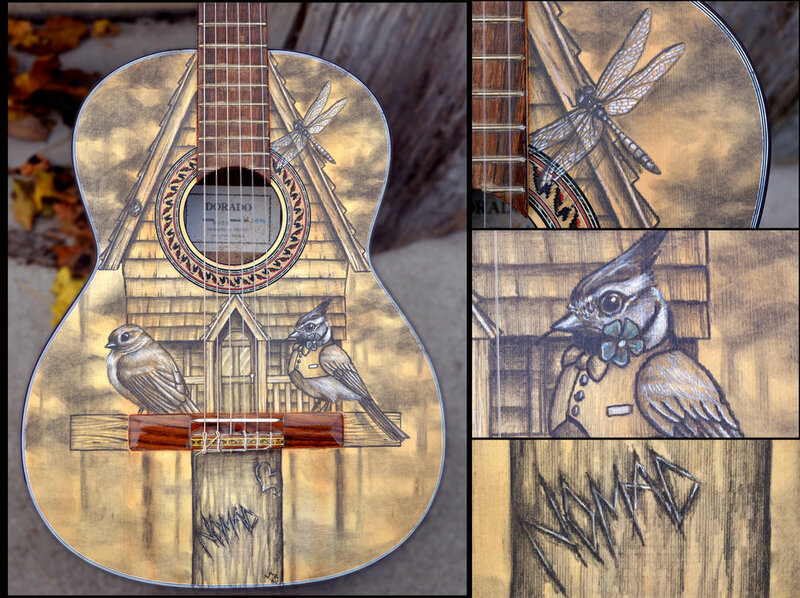 Drawing on a guitar done for The Nomad Music Experience. some doodles of fancy animals for The Honeygoats, Chickenwire Empire, and Barbaros show flier. graphite, acrylic, and white charcoal. 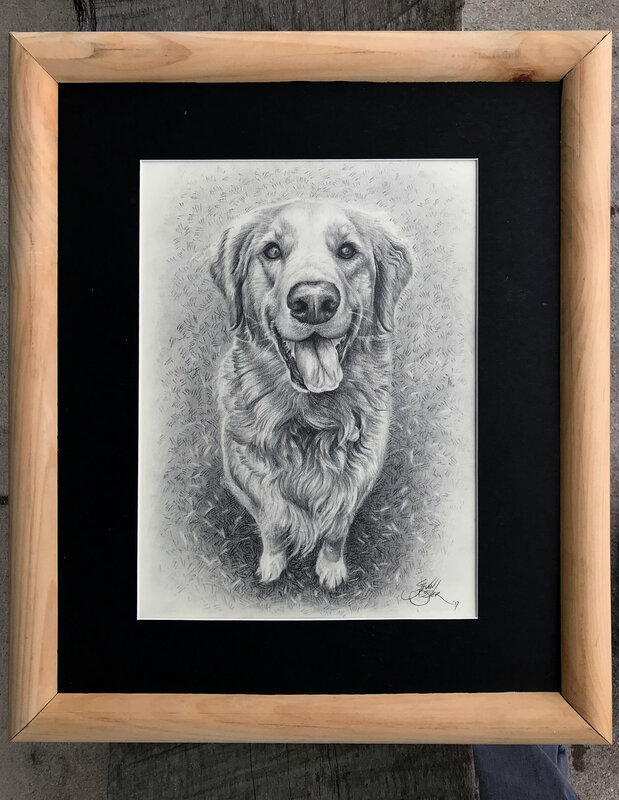 Another commissioned dog drawing. There will be few more of these on the way. Frame and mat job from my partner in crime, Vern Kittler. Done for the Nomad Music Experience.